As promised in last weeks post, I put together the colour trends for fall/winter 2018. You wonder who decides which colours are the colours of the season? It is the Pantone Color Institute in New York. The Pantone Color Institute in New York is the "colour picker" for the fashion industry. Every autumn the Pantone Color Institute does not only reveal the next "colour of the year", but they also release the "hottest colour range " four times a year. So, without further ado, here are the colours the Pantone Institute picked for this fall/winter season. Also, you don't get to see much green in nature during the cold season. 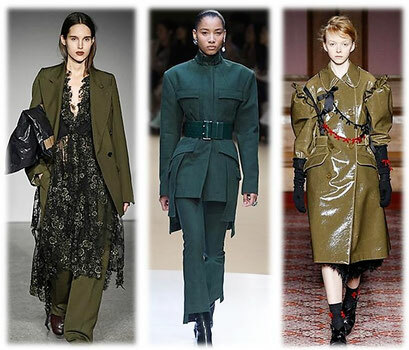 This year you make up for it by wearing an olive green coat or if you like cooler colours go for a green with a blue undertone. 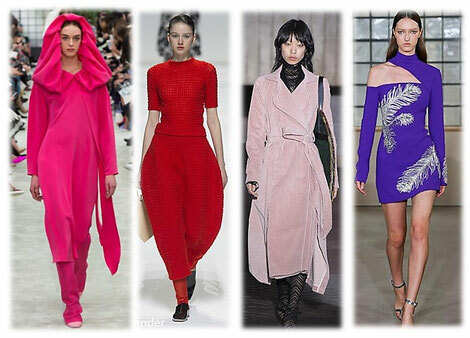 Reds, Pinks and Purples come in many different shades this season, from bright to more softer tones, everyone will find a match. My favourite shade is the soft rose tone. 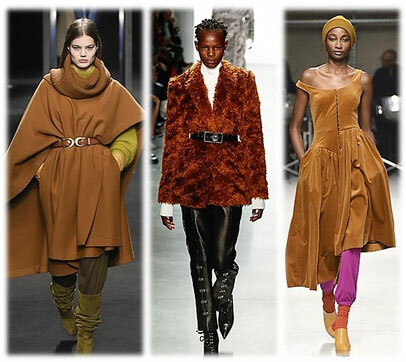 This season brown, earthy colours make a comeback from rusty to rich browns there is definitely a brown-tone for you. 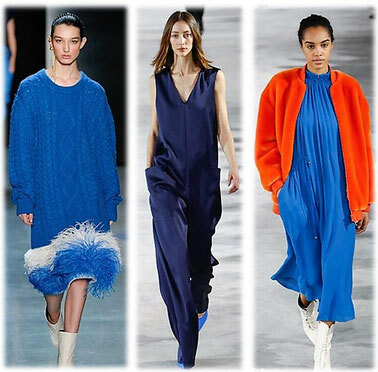 Like most colours, this season blue comes in various shades from more muted to bright blue. With all the bright colours there have to be some neutrals, too. For fall/winter 2018 the nudes are on the creamier more pastel side. 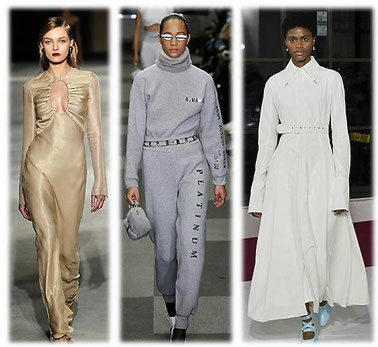 So, these are the main colour trends for the upcoming season. If you want to know the correct name of each colour click here, this is the link to the Pantone's colour selection for fall/winter 2018/19. I love your Trend Reports so much. I am always waiting for them before I buy new clothing for the season. Can't wait for the Accessories.